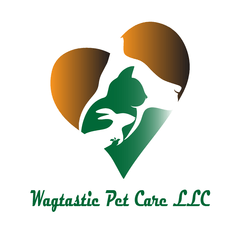 Wagtastic Pet Care LLC, Pet Sitter and Dog Walker in Boca Raton and Deerfield Beach is the business of loving, spoiling, pampering and taking excellent care of your pets. We provide dog walking, cat sitting and pet sitting in Boca Raton and Deerfield Beach. Are you unable to make it home on your lunch break to give your dog a potty break or walk? Do you want to go on vacation but not board your pets? Did you suffer an injury that makes it hard to walk your dog? Do you want your pets to stay in their own familiar surroundings, stay on their normal schedule and keep their stress levels down? Do you need someone to care for your pets while traveling? Our goal at Wagtastic Pet Care LLC is to keep your pets happy, healthy, well cared for and loved in the comfort of their own environment. We know finding someone you can trust to take care of your fur babies while you are gone is hard. We are here to eliminate the stress and provide excellent pet care for you. Whether you are at work, on vacation, out for a day or weekend trip, or suffering from an injury, our clients’ peace of mind when they are away from their pets is priceless to us. Be sure to check out our testimonials from our clients. Contact us for a dependable, caring, professional and Pet CPR and First Aid Certified pet sitter or dog walker in Boca Raton and Deerfield Beach to travel to your home and provide pet sitting for dogs, cats, and other small animals, as well as daily dog walking services. Much like people, no pet is exactly the same. They have their own character, routines, and specific needs. As a professional pet sitter and dog walker, we specialize in getting to know the needs of our clients and their pets, customizing our care according to the information you provide during the free in-home consultation. • Yes, we’re open on holidays too!